The Rare Books and Manuscripts Section (RBMS) of the Association of College and Research Libraries (ACRL) offers scholarships to subsidize first-time conference attendance by professional librarians, qualified paraprofessionals, and students. RBMS is committed to increasing diversity and inclusion in its membership and the special collections and archives professions. Accordingly, several conference scholarships have been designated for applicants from underrepresented ethnic and racial groups or for those employed by institutions that primarily serve one or more of these groups. For more information about the RBMS commitment to diversity and inclusion, please visit the RBMS website. 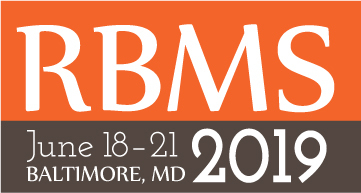 Full and partial scholarships to the RBMS conference will be awarded. Full scholarships include a waiver of the conference registration fee (up to $295 for professional and paraprofessional ACRL members, or $140 for full-time student members) plus a travel stipend. Partial scholarships provide complimentary registration and may or may not include a stipend. Members of ACRL who have not previously attended an RBMS Conference and who do not have sufficient institutional support to attend. To Apply: Candidates must complete the RBMS 2019 Scholarship Application Form. We recommend you view the form, prepare your answers, and then return to the form to complete it. Answers for the longer questions may be cut and pasted into the form. Deadline: Friday, January 11, 2019 (11:59 PST). Requirements: Scholarship recipients are required to attend the entire conference and complete the conference evaluation. To help us ensure the ongoing improvement of the scholarship program, all scholarship winners will be required to submit a post-conference evaluation letter by July 31, 2019. Notification: All applicants will be notified on or before March 1, 2019.